We at d+b facades are proud to announce a successful visit to London Build 2018, recently held at Olympia London on the 23rd and 24th October 2018. It was great to see many of you visit us on Stand V6 in the Fire Safety Zone. 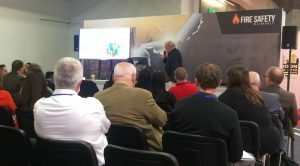 We were asked to present at the fire section of the exhibition, and on the afternoon of day two we gave our presentation – The Holistic Approach to ‘Cladding Compliance and Best Value’. The presentation was very well received, and we would like to thank all who attended. For those who missed it, we have a video of the presentation below. 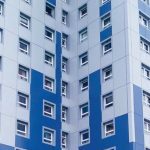 The presentation covers the history of cladding, its failures & success stories, before then addressing the labrynth of rubiks cube like considerations that must all be reconciled to achieve cladding success.